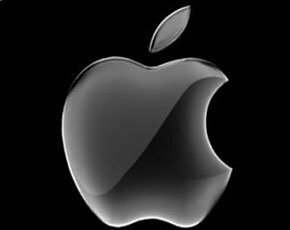 Apple was responsible for 30.9 million metric tons of greenhouse gas emissions in 2012, but only 2% of its carbon footprint was directly related to facilities, including datacentres, the iPad manufacturer said in its latest environmental report. A vast majority of its carbon emissions (about 98%) come from the manufacturing, transportation, use and recycling of its products. The company also claimed that its greenhouse gas emissions per dollar of revenue have decreased by 21.5% since 2008. Apple’s datacentres provide services such as the iTunes Store, App Store, iMessage and other integral parts of customer experience. Sharing a bigger picture of its facilities and datacentres, the report added that its three US datacentres are energy-efficient. “We are working towards the goal of net zero – using 100% renewable energy at all our facilities and datacentres. In many locations, we have already met that goal,” the report stated. Renewable and sustainable energy sources include wind, solar and tidal energy. Apple is installing its own onsite renewable energy sources, including solar arrays and fuel cells. “To guide our effort in managing the energy that powers our facilities, we have created a three-tiered strategy,” the report read. The first tier of the strategy involves designing and operating its facilities in an energy-efficient way. For this, Apple said it had optimised energy use in existing facilities and designed new facilities from the ground up, with energy efficiency as a fundamental principle. Second, to meet its reduced energy needs, Apple generates renewable energy from projects it develops on its own. For instance, more than 60% of the renewable energy used in its North Carolina datacentre is generated onsite through a privately owned solar array and the largest operating non-utility fuel cell installation. The datacentre has earned LEED (Leadership in Energy and Environmental Design) Platinum certification from the US Green Building Council. In 2012, Apple also built a large onsite solar photovoltaic array on land surrounding the North Carolina datacentre. This 100-acre, 20MW facility has an annual production capacity of 42 million kWh of low-carbon, renewable energy. The manufacturer is building a second 20MW solar photovoltaic facility, that will be operational later this year. “Third, where it’s not feasible to create all of our own energy, we fulfil the remaining needs with grid-purchased renewable energy delivered to our facilities or onto the same electric grid in which our facilities are located,” Apple said in the report. Managing cooling distribution with variable-speed fans controlled to exactly match airflow-to-server requirements. For its next datacentre build in Nevada, Apple plans to use the natural solar radiation and geothermal resources in the locale to completely meet the datacentre's energy needs and the company's net-zero objectives.